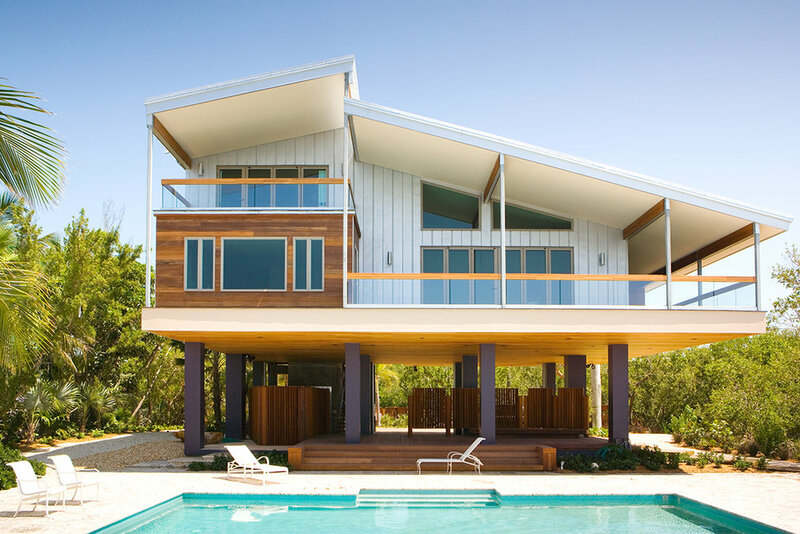 A mix of Floridian, Caribbean and Latin American influences were brought together for the design of this home in the Florida Keys. 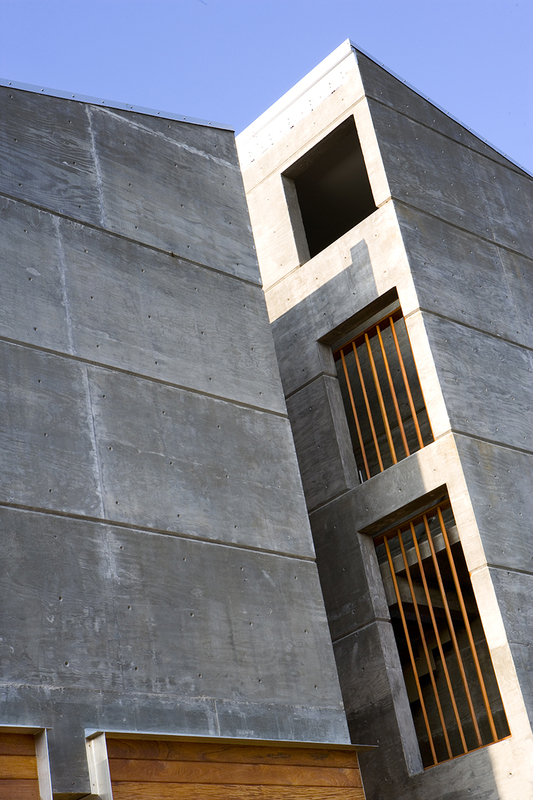 Simple, earthy and set away from the street, it reflects the modesty and need for privacy of its owners. 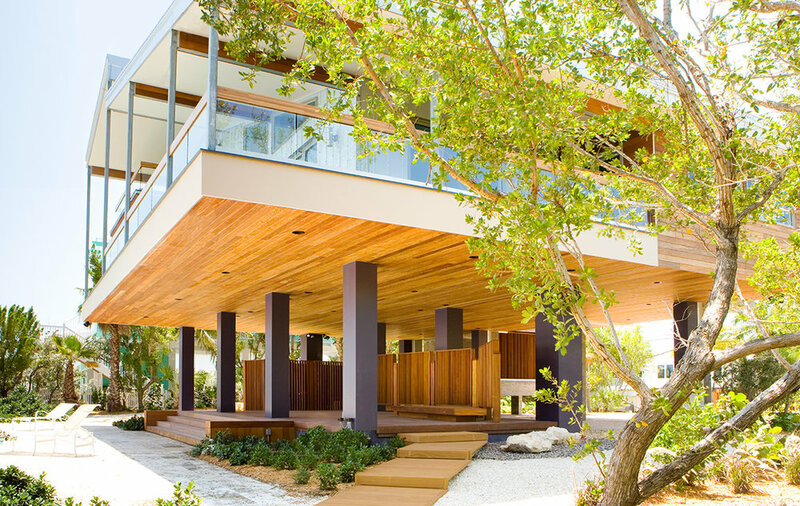 A colonnade supports the two large exposed concrete volumes that comprise the home, and the ground floor then becomes an open tropical plaza that provides refuge from the sun while allowing breezes to drift through. 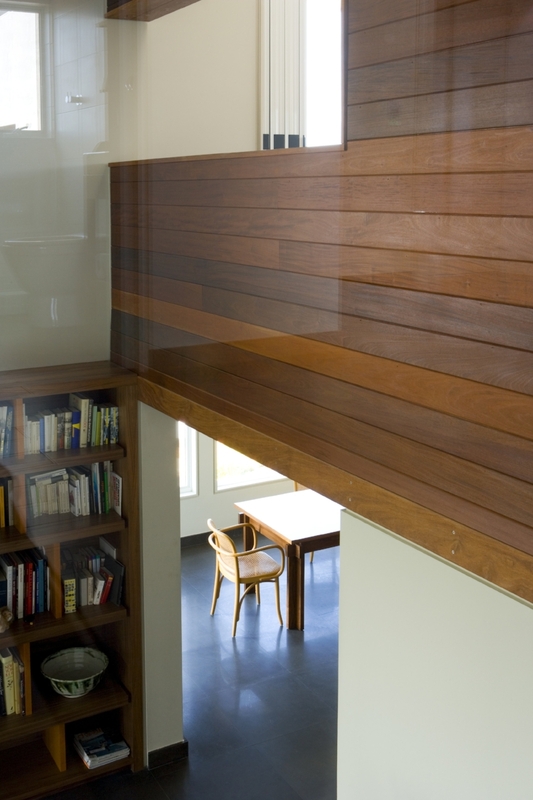 Wide vertical slats of Brazilian Ipe wood conform to and furnish the space. 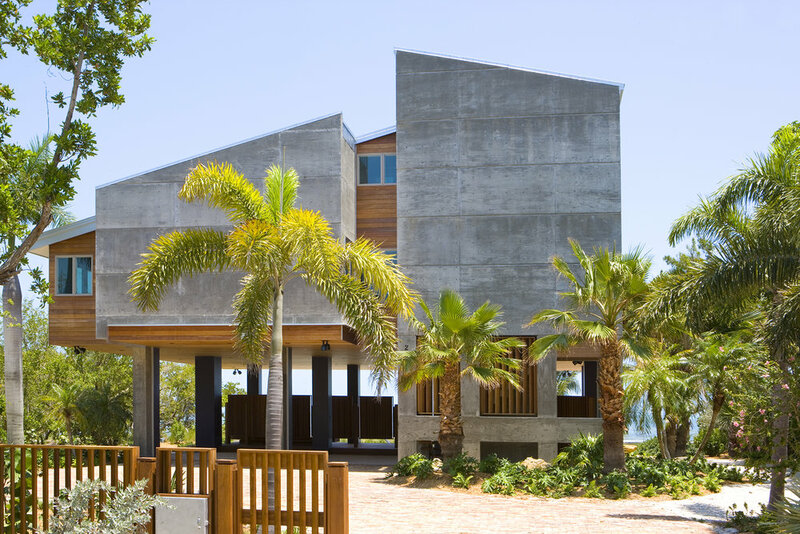 The central ambition of the interior renovation was to open the main living and sleeping spaces to the ocean view and bring more natural light into them. Service areas were moved to the back of the house and the flow between all rooms was improved. Materials used on the outside of the house were also brought to the inside, reinforcing the intimate connection between the house and its natural setting.